Victor Cruz and Karrueche Tran are still going strong. Coachella is the place to be in California this weekend with some of the best acts taking the stage for unforgettable performances as well as an endless display of some of the best music festival outfits. Already, we know that Cardi Bsurprised fans with Selena Gomez, Kid Cudipaid respects to Mac Miller and Nipsey Hussle and Childish Gambino debuted his film Guava Island. 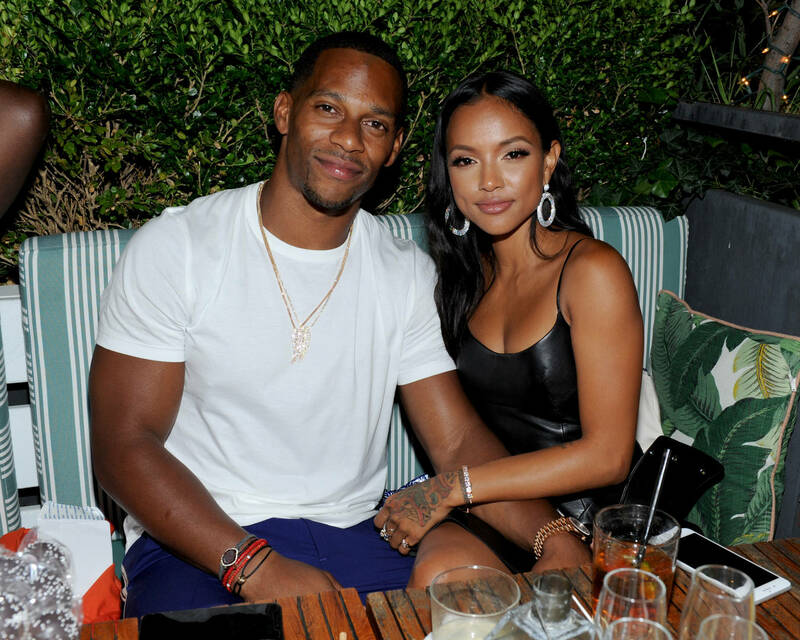 Aside from the music happenings, Coachella welcomed some pretty cute couples and one of the many is none other than Victor Cruz and Karrueche Tran. The couple has been posting about their weekend happenings and one video shows their cute embrace as they head off to yet another set. In the clip below you can see Victor filming his leading lady as they're walking on the festival grounds. Once she notices, Karrueche leans in and plants a kiss on her man. "He’s so sweet, like a really nice guy, he’s genuinely kind and it’s so refreshing to be with such a kind, great guy," Karrueche previously said of Victor. "And it doesn’t hurt that his body is bangin’!" She added: "It’s so refreshing and different for me to be around his good-hearted energy. We mesh so well, we laugh all the time and have such a great time together."